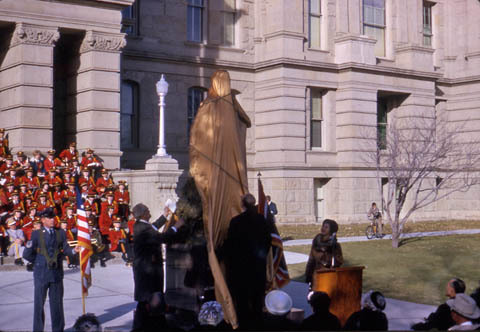 Since it became official in 1935, the State of Wyoming has celebrated Wyoming Day on December 10th. Why December 10th and not July 10th, the day we became a state? Well, because the ladies of the Wyoming Federation of Women’s Clubs requested it be celebrated in December. 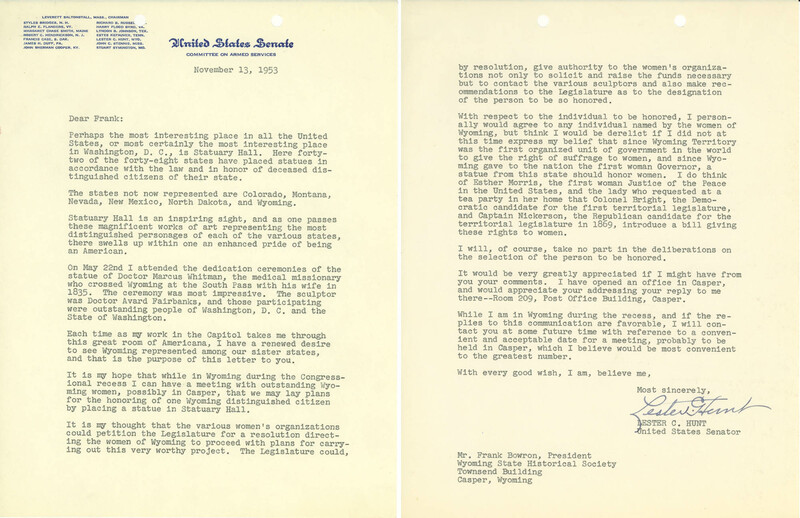 From 1917 until it became official in 1935, each state legislature passed a resolution proclaiming December 10th Wyoming Day. 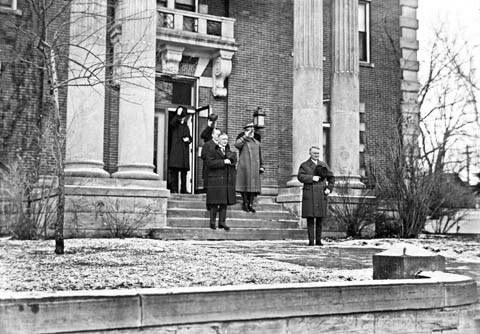 December 10th holds a special place in the history of Wyoming and the nation because on that day in 1869, Territorial Governor John A. Campbell signed the bill known as the women’s suffrage act into law. This was the first legislation passed to insure women the right to vote in all state-wide elections and the right to hold public office. The law predated the 19th Amendment by 51 years. 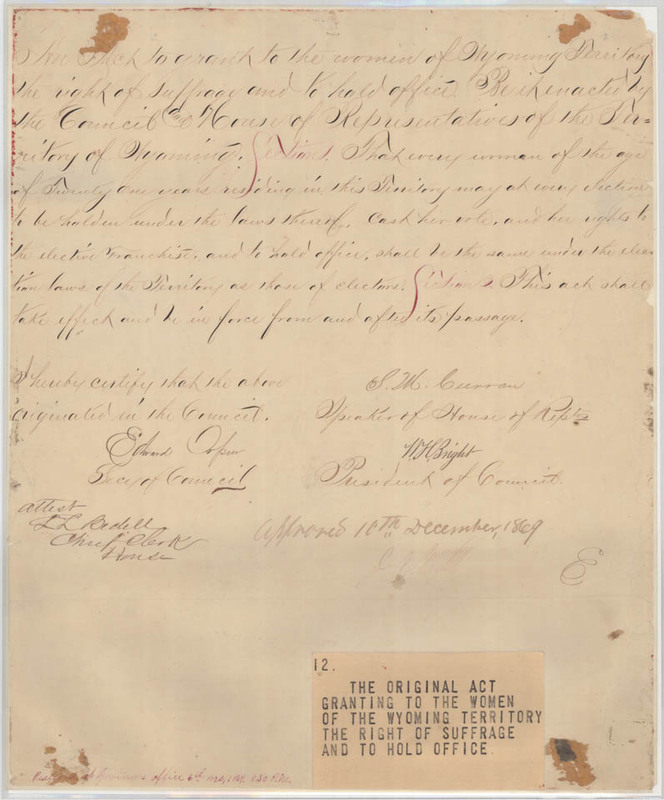 The original 1869 act, signed on December 10, 1869, granting the women of Wyoming the right to vote and hold public office. 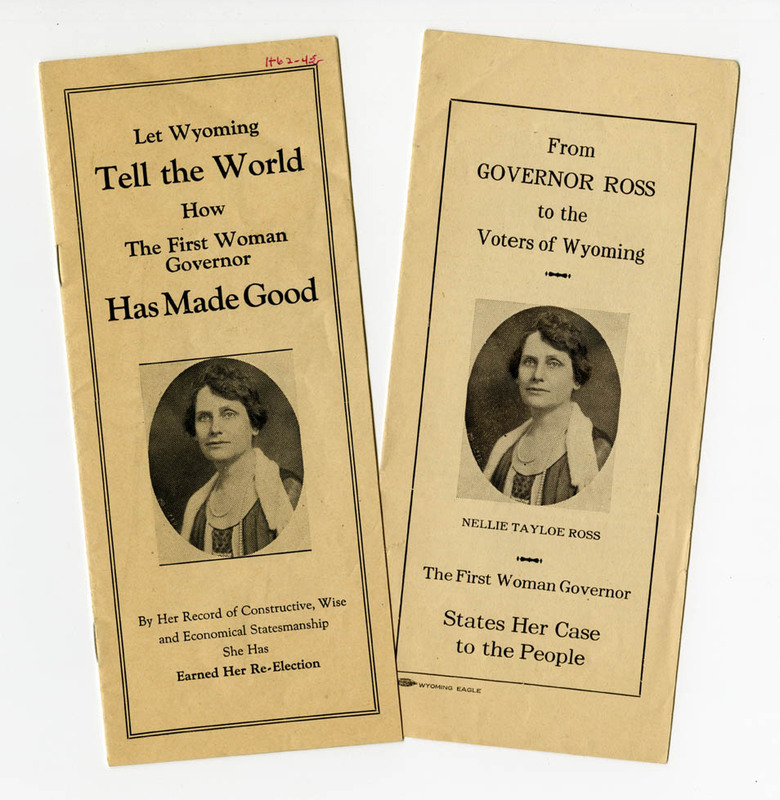 “It has been said….that the proposition to give women the right to vote in Wyoming was originally presented in jest. I think the rumor is not well founded. It is well-known among the early residents of this territory that the then president, or presiding officer of one branch of the legislature, a Mr. 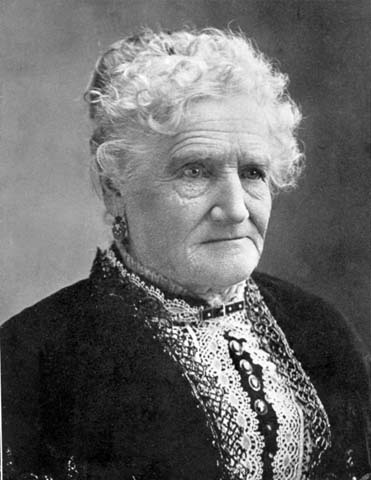 Bright, of the county of Sweetwater, was an honorable and able advocate of the right of suffrage to women and of granting that right to women. 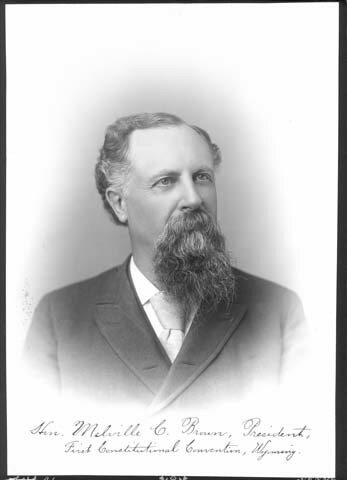 William H. Bright, legislator from Carter (now Sweetwater) County and president of the Council, introduced the bill for women’s suffrage to the 1869 Territorial Legislature. When the legislature, the first in Wyoming, convened at the capitol, a lady of this city, Mrs. Esther Morris, presented a bill to Mr. Bright, asking the favorable action of the legislature upon that question. The question was considered by the legislature, and whether or not there was some of its members who treated it as a matter of jest, I know not, but that measure was adopted in serious earnestness there is not doubt. 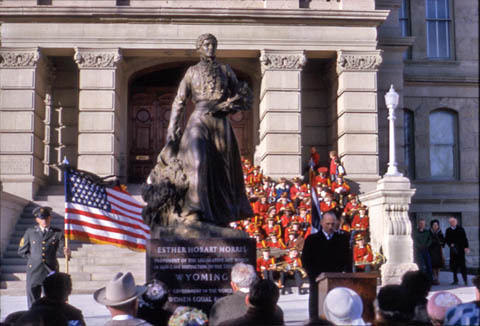 Esther Hobart Morris is credited with convincing William Bright, President of the first Wyoming Territorial Council, to introduce the woman’s suffrage bill to the legislature. 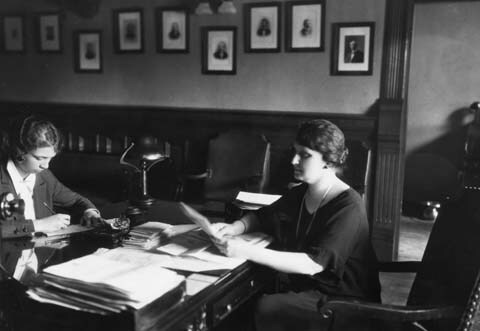 Morris would later become the first female Justice of the Peace in the nation. 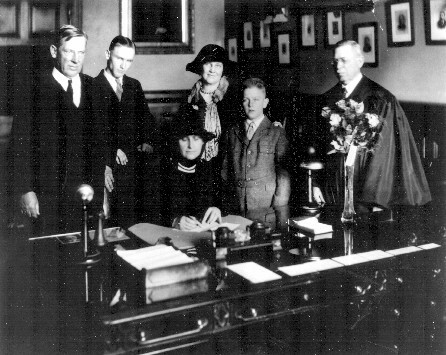 The second legislature of Wyoming convened at the capital and a bill was introduced by a member of that body to repeal the former bill. 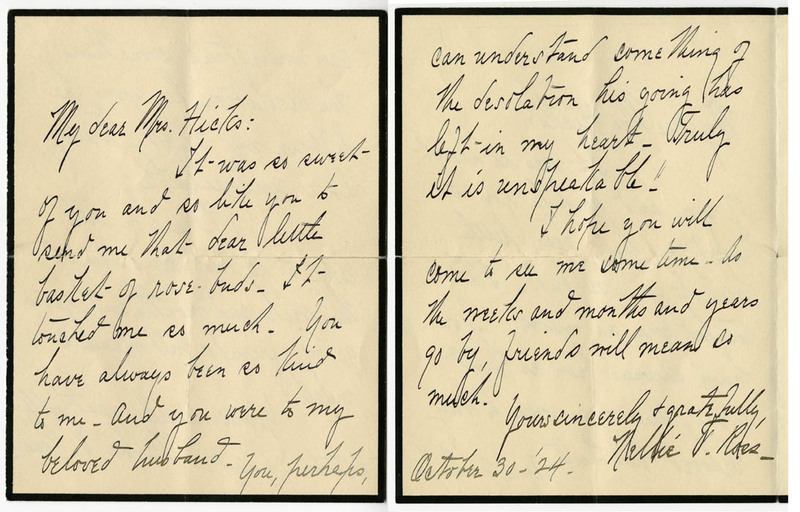 The question was seriously and earnestly considered in that legislature, and I know the temper of the men who then discussed it, because I was a member of that legislature, and question of woman’s suffrage in that legislature became a political question. It happened that it was presented by a Democrat, some feelings had arisen among the members of the convention and some hostility had grown up amongst them against the executive of the territory at that time because of certain veto measures; growing out of this feeling the party lash was brought down, and after the bill repealing this law had been passed by a majority of the members of the legislature, the governor vetoed it. 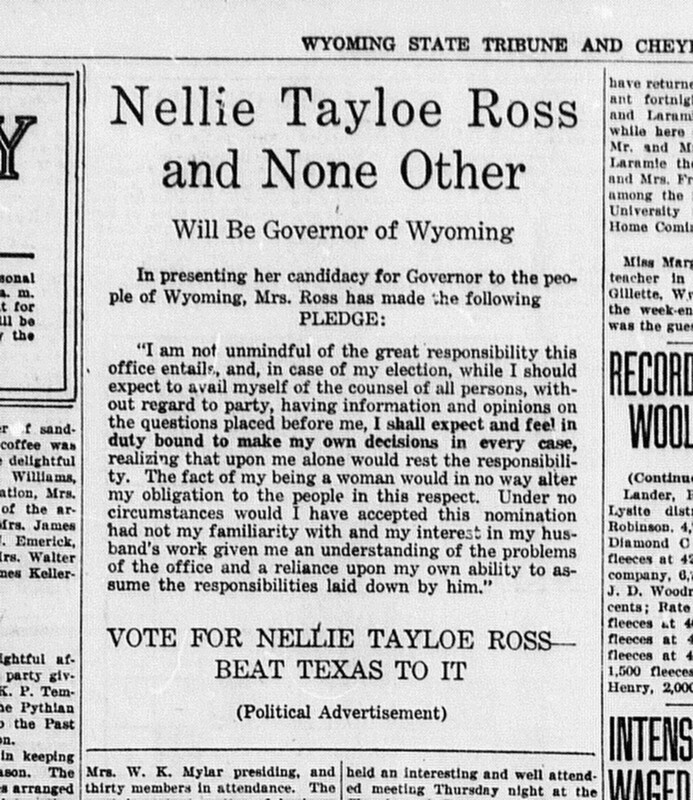 It came back for reconsideration and the veto of the governor was sustained, notwithstanding the fact that the party lash was brought down upon the backs of members of that convention who were Democratic in their opinion, and by reason of this party lash many of them were forced to vote against their convictions and give their support to the question of woman’s suffrage in Wyoming. Hon. 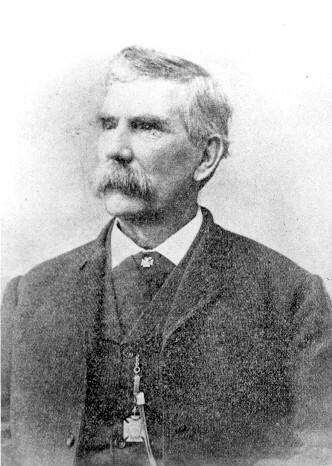 Melville C. Brown, member of the 2nd Territorial Legislature and president of the 1889 Wyoming Constitutional Convention. 1. Technically, Wyoming’s women were not the first women in America to vote in a national election. Between 1797 and 1807, the women who owned property in New Jersey were allowed to vote, making them the first women to vote in a nationwide election. Women in other states were not specifically barred from voting by the Constitution, as voting requirements were left up to individual states. In 1807, national voting requirements were clarified to exclude slaves and aliens from voting, changing the language to specify white males over 21 years old. Because of the wording, women were also excluded. Apparently the women of New Jersey did not put up much resistance to the loss of their voting rights. 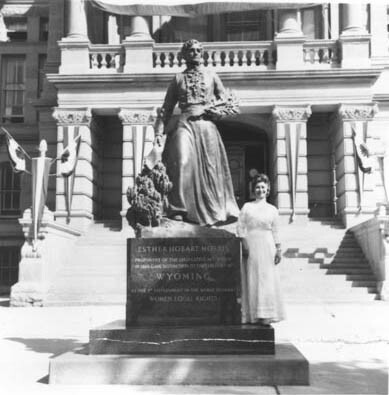 Wyoming’s women were the first to be specifically guaranteed the right to vote and hold public office. 2. Bright was a Territorial Councilman and president of the first Territorial Council (similar to today’s Senate.) He represented Carter County, which was later renamed Sweetwater County. 3. In 1889, Esther Morris was living in Cheyenne as mentioned by Brown, but in 1869, she was a resident of South Pass City, the county seat of Carter County. 5. Native Americans were not granted suffrage until congress passed the Indian Citizen Act of 1924. But since they were not considered citizens of the United States until then, this statement was technically true in 1889. 6. Wyoming Constitutional Convention Proceedings and Debates, 1889, p 352-353.